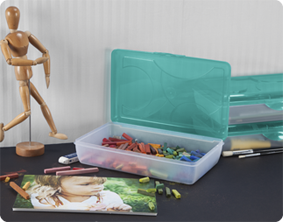 School Boxes offer a great on-the-go storage option for arts and crafts, school, office, accessories, and more. The Supply Box is conveniently-sized to help students and teachers organize and transport bulky school and stationery supplies. 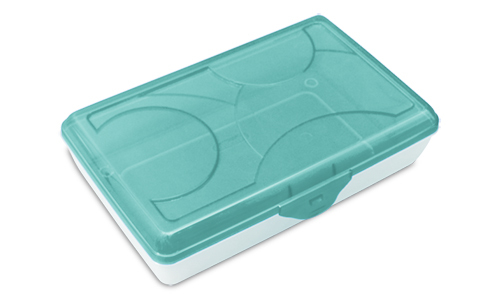 The tinted lid and clear base allow contents to be seen from any angle. 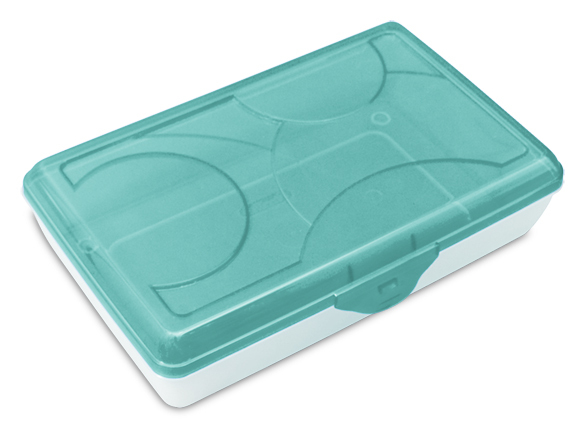 The compact design fits easily in a backpack, desk or locker, while the snap close lid ensures items stay neatly contained. The size and shape allow this pencil box to be a versatile storage solution. Store away or transport travel size items, beauty products, first aid items, dryer sheets, hair accessories, jewelry, sewing and craft supplies, and more! The overall dimensions of this item are 11 1/2" x 7 5/8" x 2 7/8". Overall Assembled Size: 11 1/2" x 7 5/8" x 2 7/8"
Ideal for organizing small art or craft supplies, rulers, pens, and more keeping items easily accessible when needed.